Edmund Beaufort, born about 1438, was the son of Edmund Beaufort, 2nd Duke of Somerset, and Eleanor, daughter of Richard Beauchamp, 13th Earl of Warwick and widow of Thomas, fourteenth baron Roos of Hamlake. 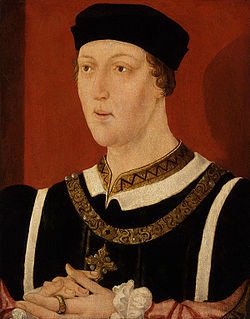 After the defeat of the Lancastrians in 1461, Edmund was brought up in France with his younger brother John Beaufort, Marquess of Dorset, and on the execution of his elder brother Henry Beaufort, 3rd Duke of Somerset, Edmund is said to have succeeded as 4th Duke by Lancastrians in February 1471, but his brother's attainder was never reversed, and his titles remained forfeit. In a proclamation dated 27 April 1471 Edmund is spoken of as "Edmund Beaufort, calling himself duke of Somerset". 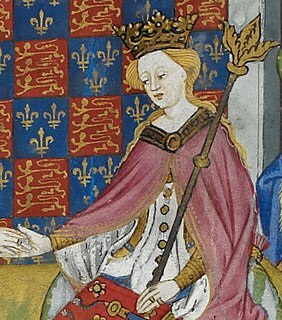 In October 1470 Beaufort returned from France when King Edward IV was driven from the throne after the Earl of Warwick's defection and alliance with Queen Margaret and the restoration of King Henry VI, who was the first monarch ousted by the family feud, and whom due to occasional insanity she assisted in his duties, Somerset was unenthusiastic over the reconciliation and made little effort to co-operate. 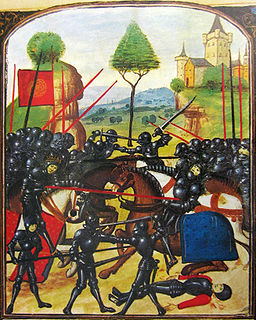 In fact his failure to hold London against Edward IV was a decisive moment, leading to the Battle of Barnet (14 April 1471) and the death of Warwick. Some sources say he was present at Barnet, but this is an error. Fleeing west towards Wales to seek help from Jasper Tudor, but halted by the Yorkist army at the Battle of Tewkesbury (4 May 1471), he commanded the van of the Lancastrian army at the battle. 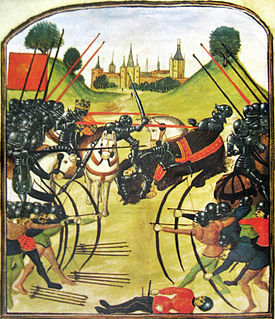 His position was almost unassailable, but under the pressure of Edward's Flemish handgunners, once the battle began Beaufort moved down from the heights and attacked Edward IV's right flank. He was assailed by both the king and Richard, Duke of Gloucester, and was soon put to flight, his conduct having practically decided the battle in favour of the Yorkists. After the defeat, Somerset and other Lancastrian leaders took refuge in Tewkesbury Abbey, but they were forced from sanctuary two days later. They were tried and executed immediately, at the Cross in the centre of Tewkesbury, on Monday 6 May 1471. He was buried on the south side of Tewkesbury Abbey, under an arch. His younger brother John had been killed during the battle, and as both died unmarried, "the house of Beaufort and all the honours to which they were entitled became extinct". The execution shortly thereafter of Henry VI left Edmund's 1st cousin, Margaret Beaufort, and her son, Henry Tudor, as the senior representatives of the House of Lancaster. 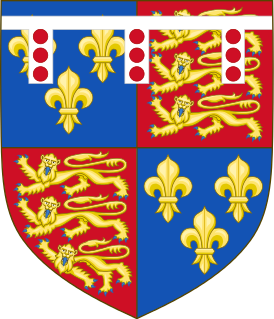 ^ Henry Beaufort, 3rd Duke of Somerset, was attainted by Parliament on 4 November 1461, and most of his lands were granted to King Edward IV's brother Richard, Duke of Gloucester, and other Yorkists. Henry Beaufort received a general pardon on 10 March 1463, but after his execution Parliament annulled the act restoring him to his dignities, which again became forfeit and were not restored. So although Edmund Beaufort was styled by supporters of the House of Lancaster as 4th Duke of Somerset, by act of Parliament he had no legitimate right to use the title. 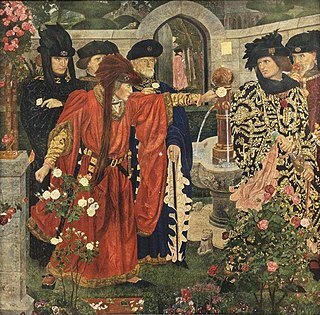 In 1485, some twenty-one years after the execution of the 3rd Duke of Somerset, Edmund Beaufort, along with Jasper Tudor, had all acts of attainder against his father annulled in the first Parliament of Henry VII, "for their true and faithfull Allegeaunces and Services doune to the said blessed King Herrie [VI]." ^ Pollard 1901a, p. 157 cites Cal. Patent Rolls, 1461-5, pp. 29, 32; Stubbs, iii. 196. ^ Pollard 1901, p. 157. ^ a b c d e Pollard 1901, p. 156. ^ Pollard 1901, p. 156 see plan in Ramsay, ii. 379. ^ Scheduled Ancient Monument - Tewkesbury site of the battle Historic England. "Details from listed building database (1000039)". National Heritage List for England. Retrieved 11 July 2013. ^ Pollard 1901, p. 156 cites Arrivall of Edward IV, Camden Soc. pp. 29-30; Warkworth, p. 18; Hall, p. 300. ^ Pollard 1901, p. 156 cites Dyde, Hist. and Antiq, of Tewkesbury, pp. 21-2. Pollard, Albert Frederick (1901a). "Beaufort, Henry (1436-1464)" . In Lee, Sidney (ed.). Dictionary of National Biography (1st supplement). I. London: Smith, Elder & Co. pp. 157–158. Notes and Queries, 4th ser. xii. 29, 276. 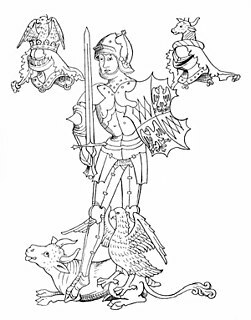 Sir John Courtenay was the third son of Thomas Courtenay, 13th Earl of Devon, and Margaret Beaufort, and was styled Earl of Devon by Lancastrians in exile, following the execution of his brother the 14th earl in 1461.